The image perfectly illustrates Parliament’s problem as it tries to solve the puzzle that is Brexit. On the outside, the UK institution is resplendent, a world-famous symbol of democracy sitting majestically on the River Thames. On the inside, it’s decrepit and increasingly unfit for use. “I am ashamed to be a member of this Parliament,” said pro-EU Liberal Democrat lawmaker Norman Lamb after lawmakers once again failed to find a way forward on Brexit. Bill Cash, a pro-Brexit Conservative, said this week that Britain had been “humiliated” by failing to leave the EU on time. The last few months in Parliament, as lawmakers repeatedly tried and failed to agree on a roadmap for Britain’s departure, have produced close votes, late nights and high drama. It’s a political soap opera that has sent the viewership of Parliament’s live-streaming website soaring and made an international celebrity of House of Commons Speaker John Bercow, with his bellowing cries of “Orderrrrr” and “The ayes have it!” But all the sound and fury signifies — not much. Britain is no further out the EU door or clearer about its post-Brexit direction than it was at the start of the year. A divorce agreement struck between Prime Minister Theresa May’s government and EU late in 2018 lays out the terms of an orderly UK departure and promising close future ties. Since January, Parliament has rejected it three times. Pro-Brexit lawmakers won’t vote for it because they favour a more definitive break with the bloc. Pro-EU politicians reject it because they think it’s a poor substitute for EU membership. Parliament has also voted on other options including leaving without a deal and holding a new referendum on Britain’s EU membership. And twice lawmakers have rejected them all. To avoid a chaotic no-deal departure that could devastate an economy already weighed down by Brexit uncertainty, May has twice gone to the EU asking for more time. 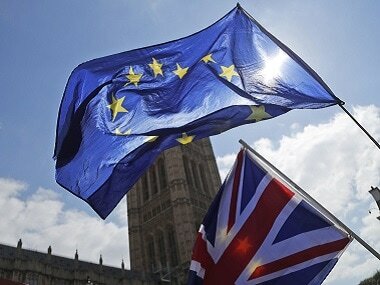 Despite the bloc’s increasing exasperation at Britain, it has twice agreed, delaying Brexit Day first from 29 March to 12 April and then again until 31 October. British businesses breathed a sigh of relief, but feared the respite would be temporary unless politicians can resolve a political crisis that been building since the surprise result of the 2016 Brexit referendum. Amid widespread mistrust in politicians, a feeling that had been growing for years, voters opted to leave the EU against the advice of the government, most economists and major business groups. May’s Conservative minority government does not have a majority of seats in Parliament — a rare occurrence in Britain — and struggles to deliver its policies. The country’s two main parties, Conservatives and the opposition Labour Party, are both internally divided over Brexit and have begun to fray, with more than a dozen lawmakers quitting in recent months to sit as independents. But there are few signs of any emerging consensus. Brexiteers in the Conservative Party are still plotting to remove May and replace her with a more strongly pro-Brexit leader, such as former Foreign Secretary Boris Johnson. Pro-EU politicians are still hoping to secure a new referendum on Brexit that could deliver a mandate for Britain to stay in the bloc. Labour craves a national election, despite the risk that voters could decide to punish all politicians amid exasperation over the Brexit debacle. Richard Ashworth, a British member of the European parliament, told EU colleagues that Brexit had had produced “a sad nation, divided like never before, and a House of Commons in crisis.” “Let Brexit stand as a cautionary tale to the people of Europe,” he warned. But some observers feel sympathy as Britain so publicly struggles with deep, divisive questions about its values and place in the world — questions that are not confined to the UK. “Parliament is representing the divisions in our county,” said Anand Menon, director of the UK in a Changing Europe think-tank. “It’s brutal. It’s horrible. It’s inconclusive. It’s democratic politics at its most visceral.